After the economic crisis in 2001, Turkish companies have learned how to keep their costs down in order to compete globally. 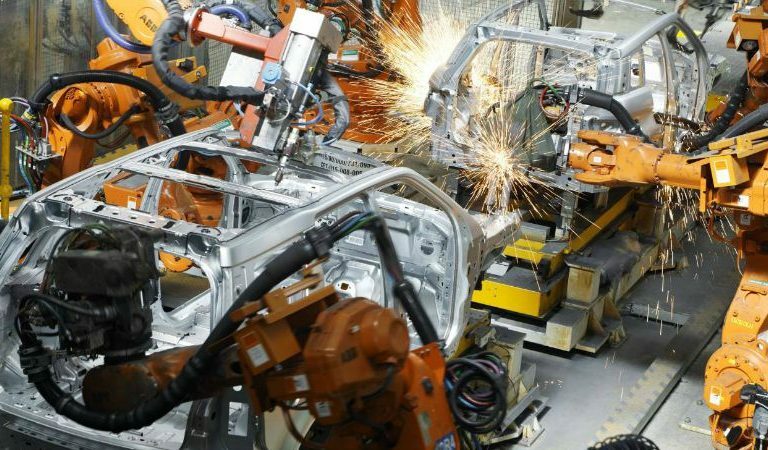 A vibrant community has developed around lean, with suppliers to the local automotive industry playing an important part in helping companies understand the challenges and opportunities lean presents them with. Yalcin Ipbuken, President of the Lean Institute Turkey, explains the evolution of lean thinking in Turkey. There were two main turning points for lean in Turkey. First of all, the translation of The Machine that Changed the World in Turkish and its distribution in both English and Turkish among the top manager of holding group companies and to automotive suppliers and dealers. The book started the Turkish lean movement. Later, Lean Thinking was translated and a summit was held in June 1998, in Istanbul. Attendance was high but the impact of the event was minimal: the Turkish economy was experiencing high inflation and high local demand. Exports were not a concern. 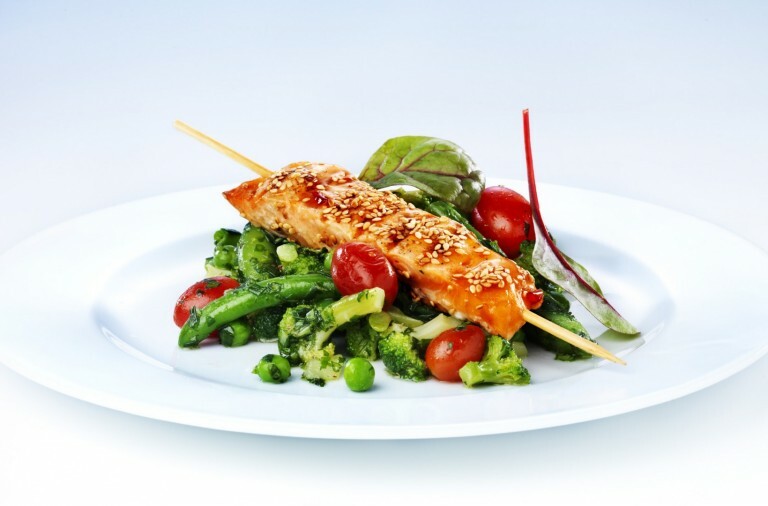 All of the attention was on quality, rather than on cost and delivery. The second factor that helped lean to take roots in Turkey was the opening of a Toyota plant in Adapazari, in the late 1990s. The country experienced a financial and economic crisis in 2001, when many banks went bankrupt and local demand evaporated. Most industrial companies turned to foreign markets for survival, for the first time. The rules of the game had changed dramatically. Until then, industry had been setting the prices and cost of production had not been a concern, but after 2001 prices were set by the market and the customer. The formula became: Profit = Price – Cost. 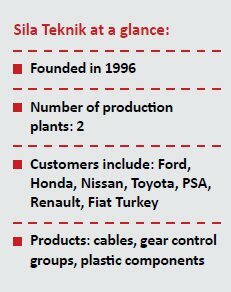 Changing economic conditions in Turkey and the arrival of Toyota played a big role in transforming Turkish industry, primarily the automotive sector and its supply chain. TOFAŞ and Renault together with Toyota became engaged in lean activities both at their plants and at their suppliers’. Today the economy of our country is very dynamic and the level of confidence is higher than in other areas of the world and in the rest of the region: interest in lean is very much alive in all sectors. The Lean Institute Turkey was started in 2002 as a small initiative and grew with the needs of the Turkish automotive industry and the attempts of other sectors to transform themselves. To date, the institute has translated and printed more than 15 books on lean in Turkish. For 2012 we had planned to further improve ourselves internally and to increase the competitiveness of the organisations we work with. We’ve concluded the first half of 2012 with 15% growth. According to a report by the Istanbul Chamber of Industry, in the past ten years we have worked with 108 of the 500 largest companies in Turkey. In the Bursa region, this figure is 46 out of 250. We are trying to grab the opportunities arising from the financial crisis in Europe. The EU market has been challenging this year, and it will still be in 2013. 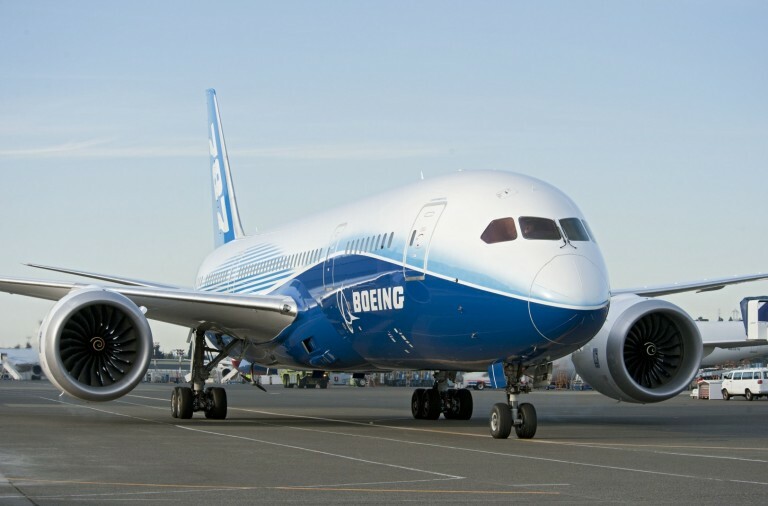 We strive to help companies to reduce their costs and delivery time and to increase first time quality so that they can be competitive abroad. 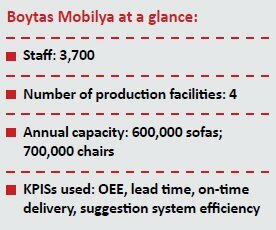 By making good use of SMED and of a new suggestions system, furniture manufacturer Boytaş Mobilya is evolving into a leaner enteprise, says Mustafa Taşçi, System and Business Development Manager. We began to lean journey in 2008. Like for many Turkish companies that want to get started with lean, our first step was visiting a Toyota supplier. It was 2008. 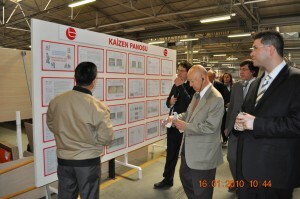 During the visit, we had the unique opportunity to familiarise ourselves with the lean philosophy and to see examples of implementation. When we returned to Boytaş we presented the lessons we learned to our senior manager and we soon began our first lean projects. At the beginning of our journey we created a project team and liaised with a consultancy firm that would guide us during the process. Our fundamental purpose was to adopt an approach that would lead to the establishment of a culture of continuous improvement at Boytaş, which in turn would help us to achieve excellence. We needed to improve our delivery and quality performance to ensure we would stay ahead of competitors, as well as achieve higher flexibility, decrease lead times and avoid working with huge inventory. These were the main factors that convinced us to adopt lean. Our project team began the lean transformation process with a project called Value Flow Study, which we completed with the guidance of the Lean Institute. It was initiated in Boytaş-3, one of the company’s five divisions. We started with a new suggestions system, value flow mapping, maintenance, multiple skills, standardised work, quality and 5S. These elements helped us to uncover waste. These initial wins (for example product flow time went from two weeks to one week) helped us to build the momentum. Changing ingrained practises derived from mass production was very difficult. These behaviours encouraged wastage and a lack of awareness of the consequences of working with excessive inventory and of producing more than is needed. To tackle these difficulties, we made sure that senior managers and trainers would be role models to our employees. We receive over 60,000 suggestions a year from our employees, which result in more than 3,500 kaizens that saved Boytaş over $7 million. Here’s an example of what we did, when we realised our product diversity was increasing significantly, production party sizes were decreasing and adjustment times caused production losses. We introduced SMED projects on all production lines, with the goal to reach adjustment times that are maximum nine minutes by the SMED. At the beginning our changeovers took 40 minutes; after the introduction of lean we went down to 20 minutes and today we are at about 10 minutes. As people developed an understanding of what lean is, the pace of transformation accelerated and we met more and more targets: despite the arrival of economic crisis, Boytaş cloed 2008 with record growth. Soner Güleç, General Manager of automotive supplier Sila Teknik, looks back at the company’s lean journey, and explains how the methodology helped it to solve its biggest issue, order fluctuation. My first real contact with lean was in 2005 at a two-day summit organised by the Lean Institute Turkey. Before the end of day one, I had already realised that applying lean at Sila Teknik was the right thing to do. On that same day I talked with Yalcin Ipbuken, the president of the Institute, and we agreed to cooperate. Applying the rules of lean is simple. You can design the procedures (or hire people to do it for you) and give them to your colleagues, telling them to follow the new rules. If your aim is to say you are “doing lean“, which means – simply put – lying to yourself and your customers and boss, that approach may work. But if you really want your company to become a lean system and benefit from it, it’s a different matter. You have to understand the philosophy behind lean, and convince your colleagues and yourself that lean means cultural change. If I was to define lean in one sentence, I would say “getting rid of muda”. If you understand the meaning of muda, you may say that you know lean. It is such a simple sentence, but removing waste was the most critical and difficult part of our lean journey. It still is. We’ll keep doing it: we’ll continue to understand muda more and more, in order to progress with lean. 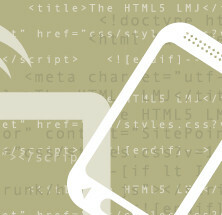 After the first results became evident, it was easy to deploy lean to all production. The second step was management. The logic was always the same: getting rid of muda. We have started with project management and continued with material procurement. Luckily, we didn’t have to face much resistance. Our company has always been very open to new ideas, but we need to understand them clearly and agree on their benefits. We can’t do it if we don’t believe it will work. The results were really good and Sila Teknik is now a competitive and profitable company making products of good quality and growing its customer base. 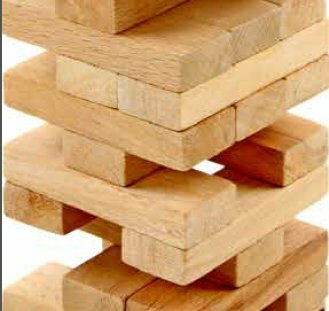 Lean has helped us to solve our biggest problem: an unbalanced and volatile order book. We used to keep a lot of stock in order to respond to fluctuation in the number of customer orders, with production constantly making urgent set-ups for last-minute order changes. By using lean we have reduced project times by 35-40%. Finishing projects on time was quite a big problem for us: now we are always on time and our project management capabilities represent our strongest asset. Sukru Tetik, General Manager at automotive supplier Coskunoz Metal Form (CFM), explains why founder Kemal Coskunoz’s motto “When I do something, I should do it the best way” is still at the heart of the way the company works. CMF supplies stamping parts to automotive OEMs, like Renault, Ford and Fiat, in Turkey. A privately owned company within Coşkunöz Holding Group, CMF employs over 1,800 people with estimated annual sales of €180m in 2012. Our definition of lean is “the continuous and persistent elimination of waste, defects, loss and cost out of the system to free up time, manpower, cash, space, capacity and equipment to serve and satisfy our internal and external customers by providing value”. I remember the first time we held a meeting with newly appointed team leaders in 2005, as we embarked on our lean journey. Most of the employees and managerial staff were a little skeptical. However, persistence and discipline prevailed and in a short time we could reach the “critical mass” essential for lean transformation. We had experienced the Toyota Production System first at a welding manufacturing cell under the leadership of a former Toyota team leader as a change agent. There has been some resistance from all levels of management and line leaders for a while. I personally took charge of the project and gave all the support for the pilot experiment to succeed. There were three important lessons learned during this period: top management must promote lean directly; responsibility cannot be delegated; and lean is about leadership and human relations. The pilot project eventually succeeded and by deploying lean in other areas we achieved space savings of 35% in two years. With improved flow and huge reductions in WIP, the fast quality feedback was achieved and built-in quality was introduced with poke-yoke and escalation systems. In four years, defective parts in terms of customer ppm have been reduced to 1/20th of the original. Between 2005 and 2008 we introduced tools such as 5S, visual management, suggestion system, standardised work and 12-step kobetsu kaizens. With much emphasis on short-term wins and tools, we felt we had hit the “lean glass ceiling” at the end of 2008. With the global crisis late that year we switched to survival mode and developed our unique Total Value Management System. The crisis was an eye-opener, and an opportunity to review our lean journey. We learned that lean is not a bag of tools but the appropriate selection of tools by leaders; that a lean transformation cannot be achieved without support systems and administration; and that lean change agents and leadership should be developed at all levels of the organisation. We started to implement programmes and projects supporting leadership growth at CMF. A3 thinking and coaching, lean certification programmes, VSM management, (effectively used) lean assessment, TPM and 3P kaizens have become our enablers. We have completed two lean leadership programmes for our staff, one for our group leaders and one for our suppliers, each lasting about eight months. Since 2008, we have increased our annual kaizens by 73% and training man-hours by 250%. Quality costs have decreased by 25%, inventory turnover rate has increased by 39%, and productivity (added value per person) by 29%. Ayberk Kurt, Lean Project Team Leader at the Uludag University Hospital in Bursa, describes the initial steps the institution is taking in its bid to become a leaner care provider. Lean at the Uludag University healthcare institutions is very new. We started in May this year, to respond to increasing demand in the face of the same number of doctors and nurses and to help us to keep costs down. We needed to learn how to do more with less. We are based in Bursa, which boasts a very well-known industrial cluster: several automotive suppliers and non-automotive companies like Bosch operate in the area. There is a lot of lean around us, but not in the healthcare sector: we got in touch with companies in the manufacturing and textile sectors and went to visit them to observe lean in action. We joined management on gemba walks, saw people suggesting new ideas for improvement and learned about daily measurements. We saw a great example of how kanbans can be used when we went to Bosch – something we are able to replicate in our pharmacy unit – as well as good examples of control systems. To spearhead our lean efforts, we picked the champions in our hospital and constituted a group of 23 people that includes managers, doctors, nurses and other members of staff. At the beginning, when I told them we would be visiting automotive suppliers they were a bit suspicious, but they soon understood the value of the visits. What we had read about suddenly made much more sense. As we communicated our intentions to more and more member of staff, making it clear that nobody would lose their jobs as a consequence of the lean programme, we found a lot of support coming from people. The head of a department told me that they had been waiting for someone to do something: everybody felt the need for change, and the reaction to lean was enthusiastic. We are at the gemba all the time now, trying to draw value stream maps and understand our current state in a number of units. Our four-month learning phase is complete, and we are now focusing on a number of pilot projects. For example, we are doing a lot of work on invoicing and on our pharmacy and outpatient units. We are trying to identify waste wherever it hides and we make decisions all together on how to tackle it, but it’s still too soon for us to talk about results. However, we have a clear idea of where we want to be in a couple of years. We hope to build on the pilot projects, with two main aims: first of all, we need to provide better and quicker care to our patients; and secondly, because healthcare professionals in our institutions have never received leadership or management training, we want every worker in the hospital to have the ability to think independently and to take ownership of their processes.